This research provides an insight into large-scale real estate projects in Europe and how they are using a more innovative blend of finance. The methodology involved a mix of desk-based study, interviews and case studies. Interviews were held with financiers, policymakers, developers, investors, fund managers and academics. 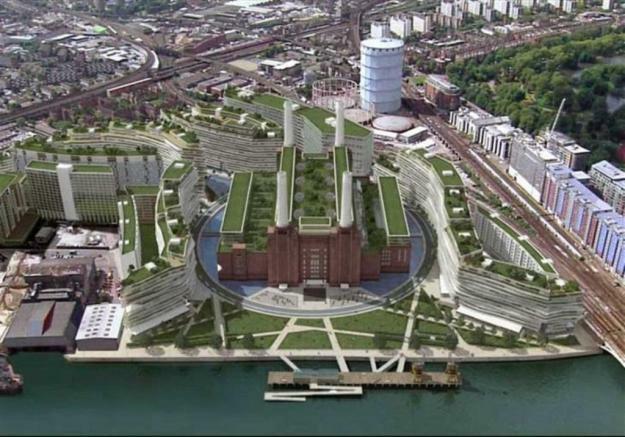 The specific case projects were Battersea Power Station Development in London; Leipziger Platz site in Berlin; and the Lammenschans site in the city of Leiden, The Netherlands. Findings show that there is growth in the blend of financial products used in real estate development within large-scale mixed-use projects. This new blend is set with greater equity financing, often from domestic and foreign consortiums generating institutional funds – alongside private debt financing – that utilise a mix of large-scale multi-bank finance. The scale of the challenge in financing real estate development allied with capital budget constraints has meant that the appetite for innovative finance mechanisms has gained considerable momentum in practice and policy. This research investigates current examples in development finance and provides a discussion of the opinion of key multi-stakeholder participants in the individual cases, and trends more strategically at a broader level. This detailed study of three major development sites and at a more broader strategic level is significant, in that it provides a better understanding of the differing blends of finance that are being used.